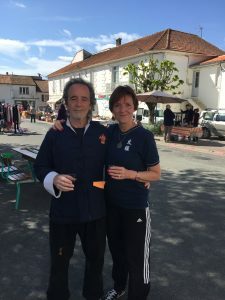 Our moving from the UK (in 2015) and buying a home here in South West France has been highly supported by the magic of the universe and I have ensured that I have taken care of myself and my family that best I can with flower essences (my area of speciality – click HERE if you want to find out more about the Practitioner Diploma that I run). 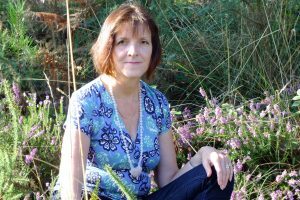 My own personal journey began with qualifying as a Flower Essence Practitioner (and using, teaching about and co-creating flower essences remains my passion) yet I also spend a good bit of my time now helping energy based practitioners go from being highly qualified practitioners with NO or FEW clients to creating and building thriving healing businesses….with the help and guidance of the elements of nature. Have you ever known deep inside that you have healing gifts that can help change the trajectory of this planet from one of chaos to bringing back Heaven on Earth? If so you are not alone. Does the thought of becoming visible though as the true amazing healer that you are fill you with such terror and dread that you shrink back to fit and as a result the people that need you don’t get to experience your own unique form of healing? Again you are so not alone – many of my course participants feel like this too. 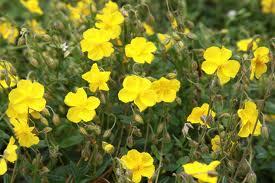 A flower essence that can be truly helpful in these cases is Rock Rose from the Healing Herbs range of Bach Essences. Rock Rose is for deep terror that feels so paralysing that it stops you from moving forward. 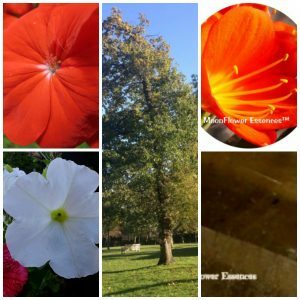 This lovely bright flower essence is becoming quite a star with my Create a Magical Business participants to help them make videos, do live streams on Facebook and to step out of their comfort zones and the results are very very promising. Do you give yourself away for nothing? Are you burned out from giving more than receiving? And do you lack structure and boundaries in your own energy system and healing business? I have done a lot of work around my own boundaries and setting prices in my business that offer wonderful value but also pay my bills and allow me to have regular time off. (Yes prices are boundaries in your healing business) and as with all of us, I am a work in progress. Right now we are in extraordinarily transformative times and for those of us who are sensitives, this can be destabilising and ungrounding. 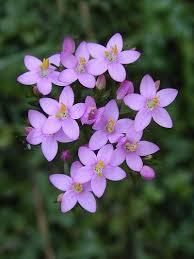 A flower essence I have found this week to be really really helpful is another of the Healing Herbs Bach range – this time the lovely pink Centaury. 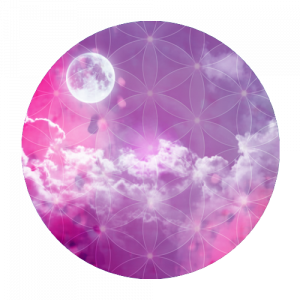 Centuary is known as the “Put your foot down ” essence and is very helpful when you need to know who you are (and who you are not), bring structure into all parts of yourself, life and your healing business and regain a sense of perspective. I recommend her highly – there is nothing quite like Remembering who you Are – it brings such a sense of comfort and confidence. Do you often feel there is never enough money or time? Do you often find yourself living in the future and therefore missing out on NOW? Are you someone who would LOVE to create a healing business where everyone thrives that offers amazing value? Holding the vision, taking care of you self and those you love and prioritising the time to work on those parts of your business that generate income can be tricky in a world that has so many bright shiny objects…. Yep I can feel like this too sometimes and an essence combination that I reach for whenever I recognise that feeling is from my own range Moonflower Essences Ruler Combination. I use this combination often when I am busy and need to ensure that I prioritise my time well and also allow time for rest. White Petunia to still the mind, Red Geranium to bring balance between the inner feminine and masculine (receiving vs giving), Oak for support, Clivia for abundance consciousness and Smokey Quartz for grounding. This combination truly does bring through structure that ensures more effective leadership of our lives and businesses that is seeded with ease and grace. Click HERE to get your bottle of Ruler Magic!